Do not vote him just because he is from AP. vote him if you feel he is good and he is betterthan others. The local channels should mention this view instead of asking to vote for him. Educated According to govt : 30% ? Undergraduated/graduated and can use their brain : less than single digit percentage? I have not heard the TORI campaign, but being in India currently, I got a chance to see the campaign to vote for Sreeram on so many telugu news channels. I have to mention that this campaigning for Sreeram started only after he reached the top 3, which is in the last 1 week before the result announcement. Its his talent only that won him votes throughout the competition. And at that stage, it was totally apt to remind people to vote for him. Otherwise, we people of Andhra Pradesh would simply enjoy the show and switch off the TV. We would just not vote at all, be it for anyone. At that point, he has already proved himself and the campaign just gave the extra mileage. 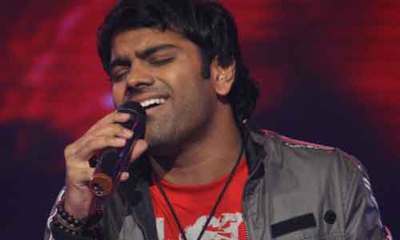 Mohan Garu, He is truly a versatile singer and has won many music awards in AP before he entered Indian Idol ! I agree. I listened to him. He is simply great. I am objecting to the ‘vote for him because he is one of us’ mantra on principle.